Remember the summer months, being out in the middle of the night, cool breeze rolling over you, staring up at the stars, trees lining your view. This print will give you that feeling all over again. 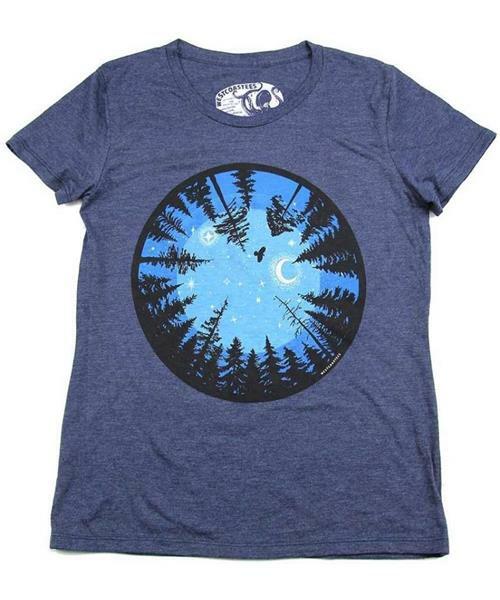 And since this womens scoop-neck tee is made with combed cotton, it has a soft, worn in feel. Along with superior drape, excellent color fastness and durability throughout multiple washes.